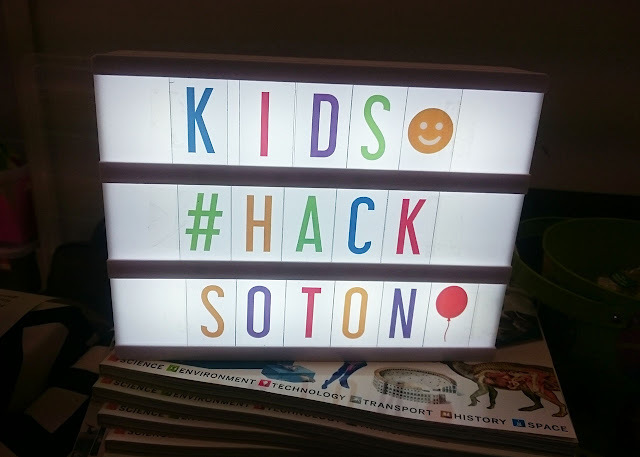 On the 1st of April we joined a bunch of other tech-loving people at the Hacksoton 2017 event in Southampton, to encourage families and children to explore the creative side of technology. 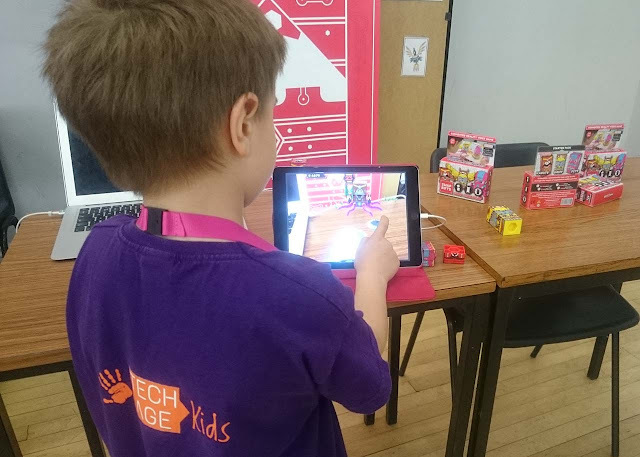 For the second year running, Tech Age Kids, joined Etch UK and Moov2 to put together a techilious day filled with digital making, coding, Minecraft, robots, 3D printing and more. 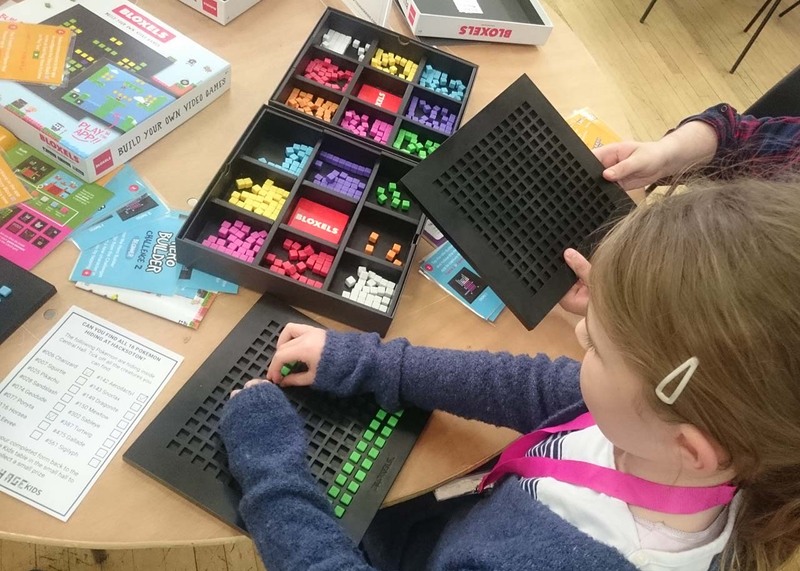 Whilst adults and 16+ year olds hacked away on their own projects in the main hall, kids and families played and coded in the small hall at Central Hall. 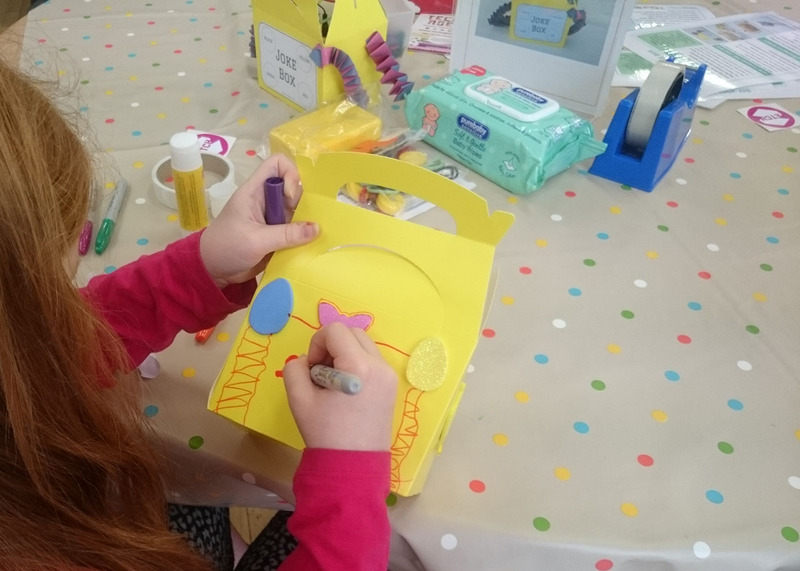 There was lots to do and see, some of which we'll highlight in this post. As it was the 1st of April it would be rude not to have an activity which included a joke or two. Amazon Alexa offered up a cracking joke for the event, when my kids asked in the morning - "Alexa, tell me a joke"
Q: How many software engineers does it take to change a light bulb? A: None. That’s a hardware problem. Kids made their own Joke Box using some discontinued tech for Bee Bot floor robots. 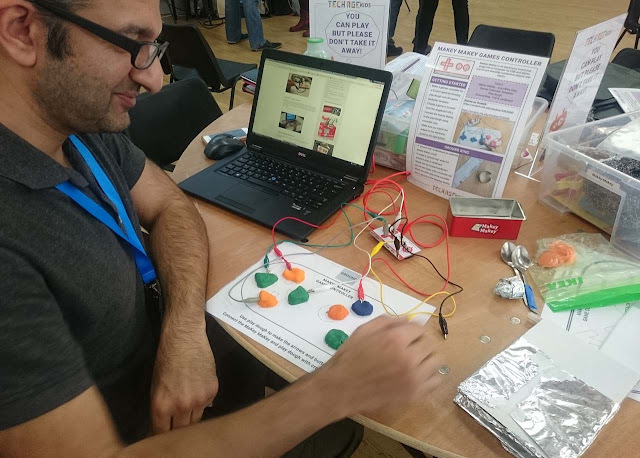 If you own one of these Electro mat kits, you can try make a Joke Box at home, alternatively come to one of our events in the South of England and you're bound to discover one in an activity we've created! 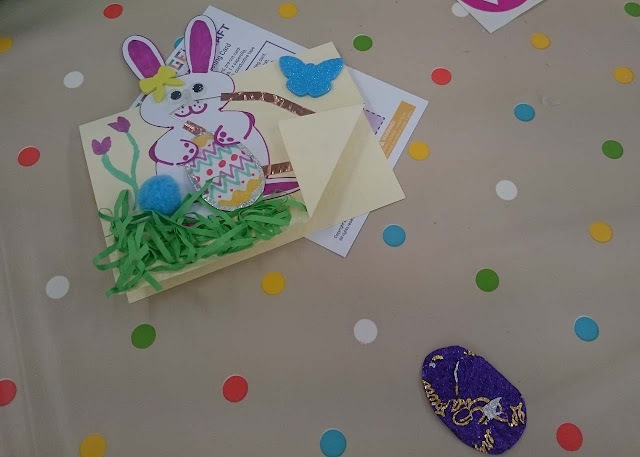 The Easter bunny also paid a visit in the form of a paper circuit Easter Card. Kids (and adults - "Holly") got creative making flashing LED greeting cards and learned about a simple electronics circuit along the way. Check out the tutorial to make your own Easter Bunny paper circuit at home. Judith from Embecosem helped young people build a geodesic dome using Strawbees and glowsticks. 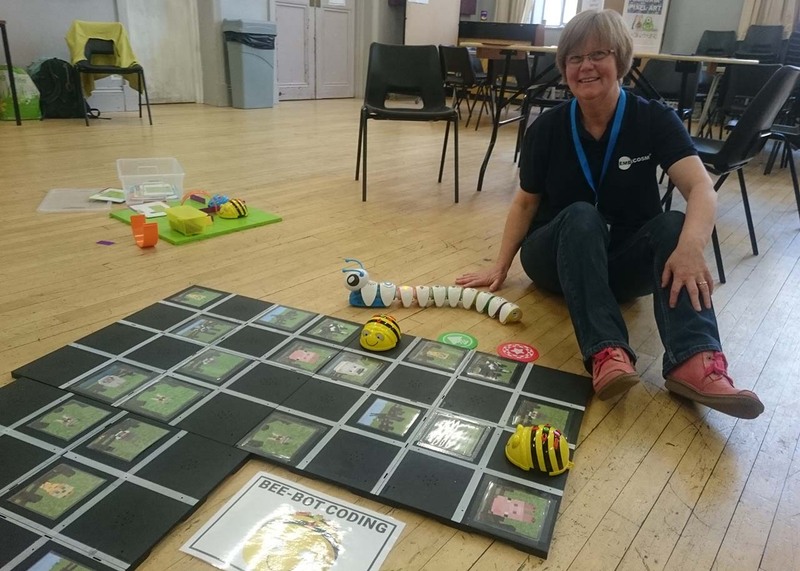 She gave all her time to help us out in the small hall to inspire young and old to do creative things with tech and design. Tech Age Kids' Tracy ran two Minecraft Workshops where kids learned how to use command blocks in the game. Families could have a go with Makey Makey, Bloxels, 3d Printing from So Make It (Southampton Makerspace) and arduino coding using the SweetMaker Fizzymint lead by Howard May who is also a mentor at our local Coder Dojo. 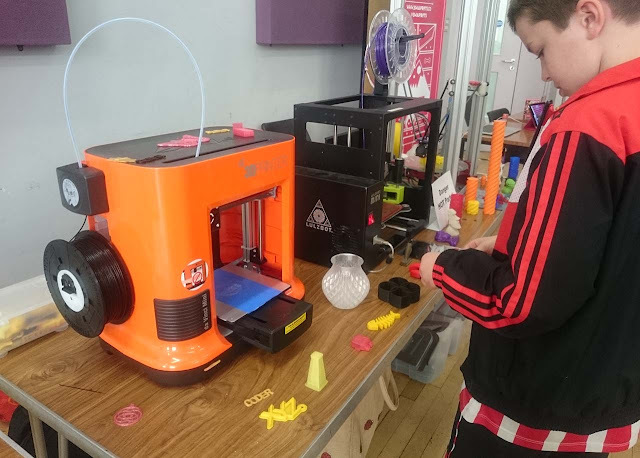 Our trusty bright orange XYZ 3D Printer also attracted a lot of attention. It was a great honour to share the small hall with inspiring makers and inventors. James from XRobots wowed us with a headsetless VR experience (find out more on XRobots blog - it's awesome!) 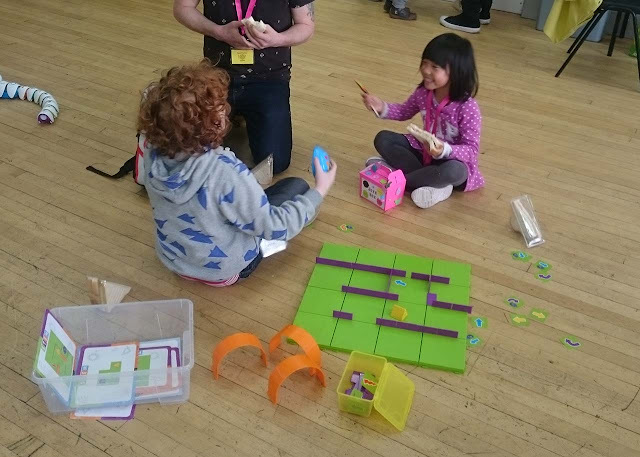 and Swapbots got lots of kids experiencing physical and digital play through augmented reality (AR). Of course no respectful tech event will be without some sort of Star Wars visitor! Thanks to Bladez Toyz kids (and adults) had loads of fun with these Star Wars RC Inflatables. Show & Tell at the end of the day is the culmination of the whole event where people share the projects they made on the day. I particularly loved the crochet pattern maker from Jem's Yarns. 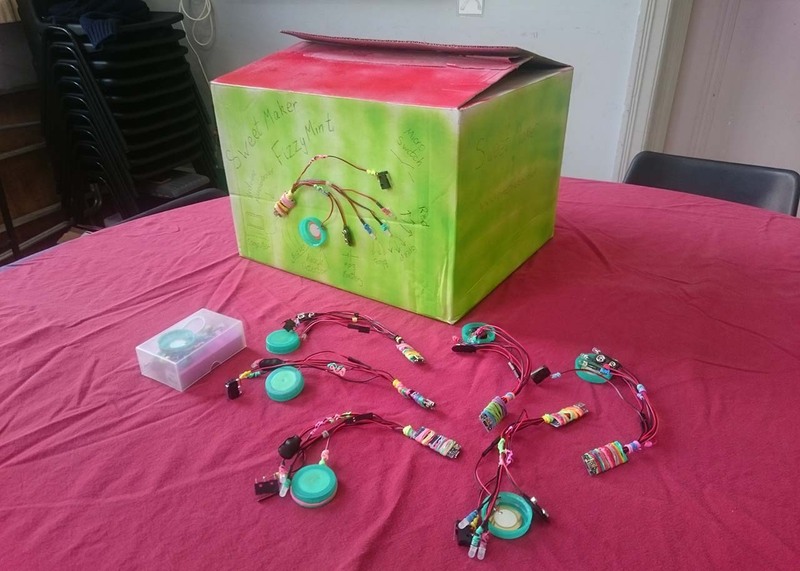 What Jack has Made and Hacksoton's write-up Fool's Gold details some of the awesome projects shared with the audience at the end of the day! 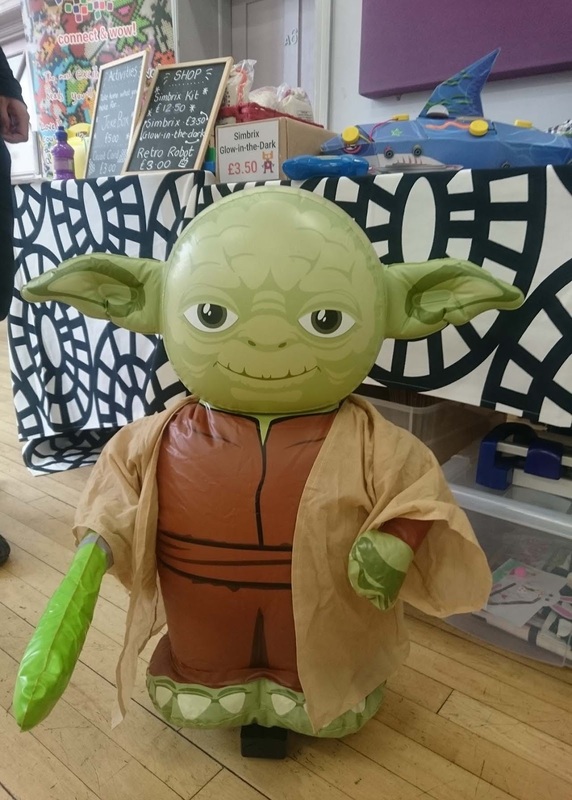 Tech Age Kids get involved with local events (UK only) from time to time. Keep an eye on our local page for upcoming events and signup to our mailing list for all our content straight into your inbox!